Some people love to sit by the pool on our holidays – others among us like to do something a little more adventurous and use their holiday time to indulge a passion for the outdoor life, and take part in extreme holidays such as rock climbing, go-karting or bungee jumping instead. If this sounds like your cup of tea, there are things you need to consider before booking your dream trip. Extreme sports holidays will need appropriate extreme sports insurance, and most of the activities that would be classed as extreme sports won’t be covered by the general travel insurance packages bought with most holidays. When you book the trip, check what level of insurance cover you have and whether you need specific extreme sports insurance to cover anything you plan to do. Bungee jumping, scuba-diving, jet-skiing and the other spur of the moment sporting activities you might decide to take part in on activity holidays aren’t usually covered by standard insurance policies, so be careful – medical costs can be extortionate abroad. There are plenty of specialist extreme sports holiday insurance policies available which give you the freedom to take part in almost any extreme sport and activity – and offer varying levels of cover. Before you take out this sort of policy, find out whether it’s suitable for the type of extreme sports holidays you intend to take part in, so that you don’t get caught out if there’s a problem on holiday. Do you need any special equipment for the sports you plan to take part in during extreme sports holidays? If so, and you have to take it with you, ask the airline beforehand whether they will carry any sports equipment you want to want to take away with you. It goes almost without saying but don’t take part in any extreme sports unless you are sure you are fit and healthy enough to take part in strenuous activities. 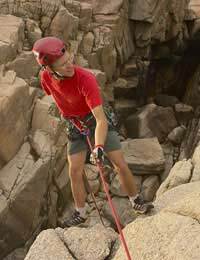 If you have any pre-existing injuries or conditions, make sure that you tell the extreme sports instructors about them before you start. Before you take part in any water sports that are on offer – especially the type of activity available on extreme sports holidays – find out where the safe swimming beaches are by asking the advice of the local coastguards – and check out the local tides. Don’t swim off contaminated beaches, and avoid any water that looks stagnant or polluted. Always check your water sports equipment for safety before you use it, and make sure that you wear a good quality life jacket for water skiing, boating, and other offshore water sports. If diving is your thing, make sure that you don’t go sub-aqua diving within the first 24 hours of your flights (arrival or departure). When you’re diving, make sure that you know the depth of the water – diving accidents on holidays can lead to paralysis and even death. You should also check your extreme sports holidays insurance policy for the maximum diving depth it permits, before taking part in any organised dives.